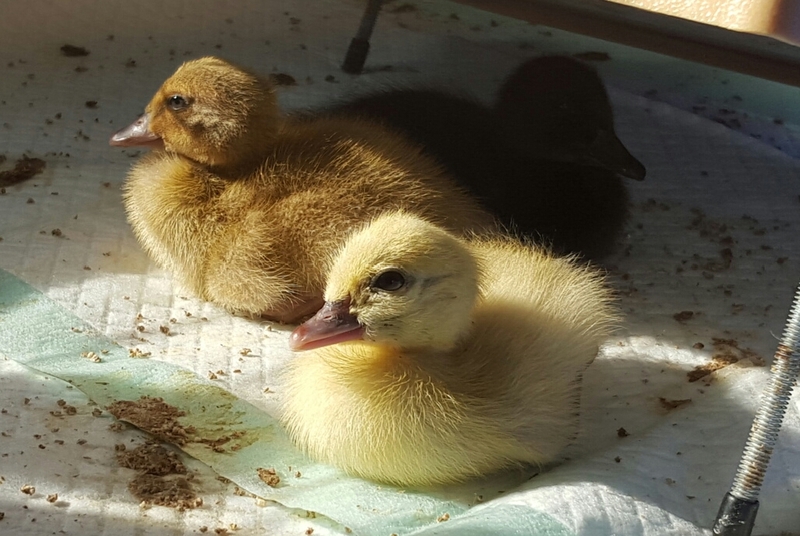 The day was spent trying to find someone who had a couple of day old Muscovies that I could buy. I tried everywhere but without success. 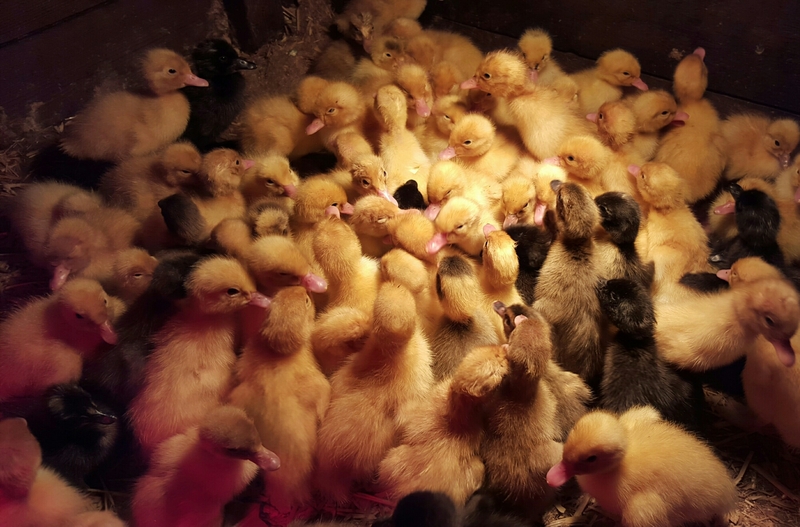 Eventually that evening I ventured across the border to the wilds of Cheshire and met a chap called Joe who had hundreds of day old ducks of different breeds… but no Muscovies. Like everyone (it seemed) his first Muscovy hatch wasn’t for a week or so. What to choose?! I chose 2 lovely chickens of the 2 largest breeds he had. Unsexed were £3.50, sexed females were £7.50; I had 2 males at £2.50 each. 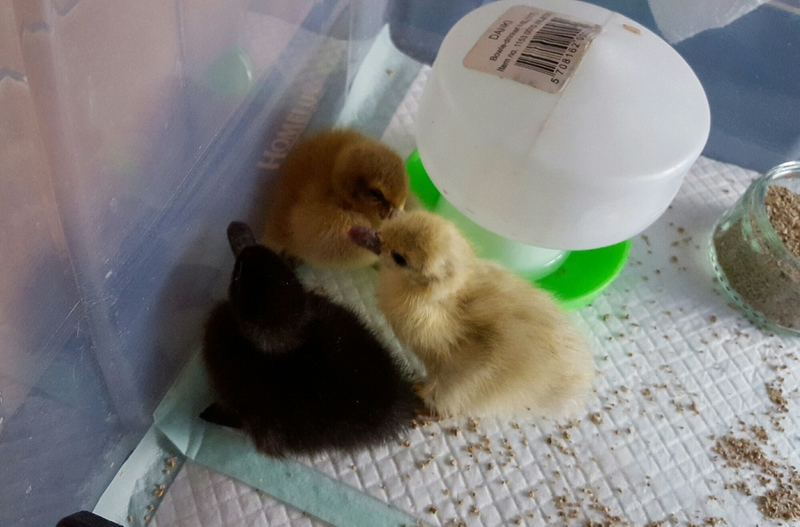 Little Blackie is a Cayuga, the all black with a green sheen to its adult feathers duck that the Black East Indie is a bantam version of (e.g., Indy from my very first hatch) … and Buffy is a Buff Orpington. Both are much larger breeds than Welsh Harlequins, 2-3 lbs heavier…….. It was late when I got back and popped them in with Joey (work so often gets in the way!!) I gave them space, needing them to bond with each other. The next morning all was well, Joey and his two new friends doing well. 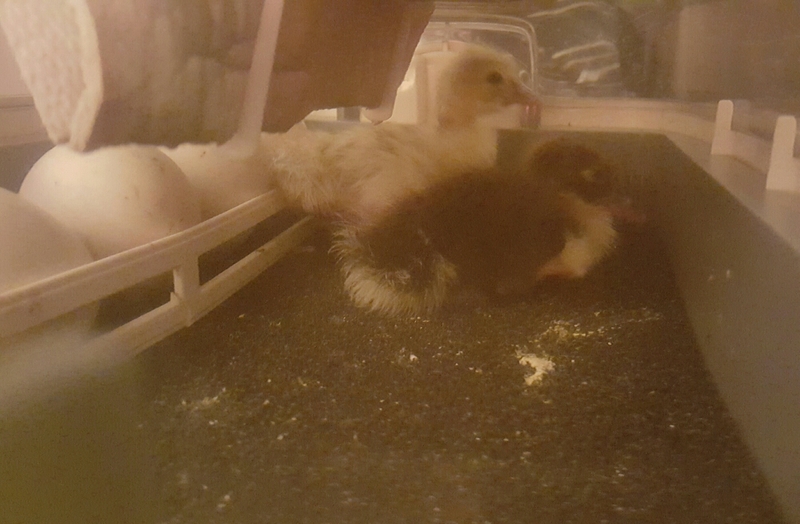 In the small brooder… Buffy at the back, Joey to the right, Little Blackie to the left. « Oh Boy – the sequel!! !